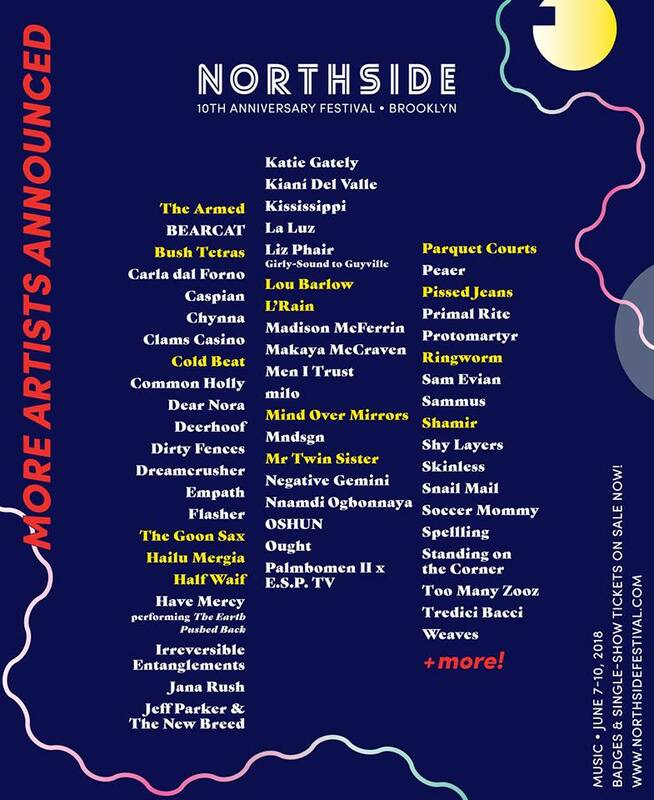 Northside Festival has announced the lineup for its event on June 7th to June 10th in North Brooklyn. 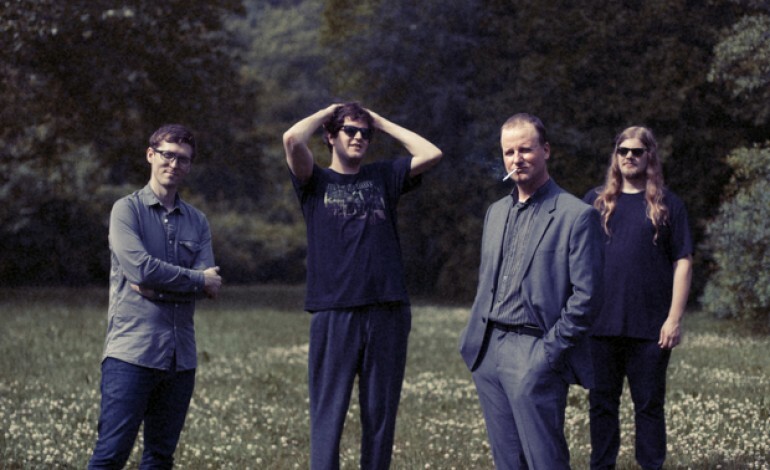 This year’s lineup features Protomartyr, who’s released the album Relatives in Descent and performed at the Teragram Ballroom, Deerhoof, who will be performing at Sled Island Music & Arts Festival and has released Mountain Moves, and Liz Phair, who has announced Girly-Sound to Guyville: The 25th Anniversary Box Set and shared summer 2018 tour dates. Northside Festival is an annual summer festival that celebrates emerging music, innovation and arts in Brooklyn, New York. The Northside stretches across Williamsburg, Greenpoint, and Bushwick. The festival was started in 2009 by Brooklyn’s Northside Media Group and has been organized by the same organization since. Previous performers included Guided By Voices, Brian Wilson and Girlpool. As mentioned by Brooklyn Vegan, this is the initial lineup. The inital lineup consists of BEARCAT, Carla dal Forno, Caspian, Chynna, Clams Casino, Common Holly, Dear Nora, Deerhoof, Dirty Fences, Dreamcrusher, Empath, Flasher, Have Mercy, Irreversible Entanglements, Jana Rush, Jeff Parker & The New Breed, Katie Gately, Kianí Del Valle, Kississippi, La Luz, Liz Phair, Madison McFerrin, Makaya McCraven, Men I Trust, milo, Mndsgn, Negative Gemini, Nnamdi Ogbonnaya, Old Gray, OSHUN, Ought, Palmbomen II x E.S.P. TV, Peaer, Primal Rite, Protomartyr, Sam Evian, Sammus, Skinless, Snail Mail, Soccer Mommy, Shy Layers, Spellling, Standing on the Corner, Too Many Zooz, Tredici Bacci, and Weaves. There are 300 more acts that will be added. The festival flyer is shown below. Northside Innovation will be from June 6th to June 8th. 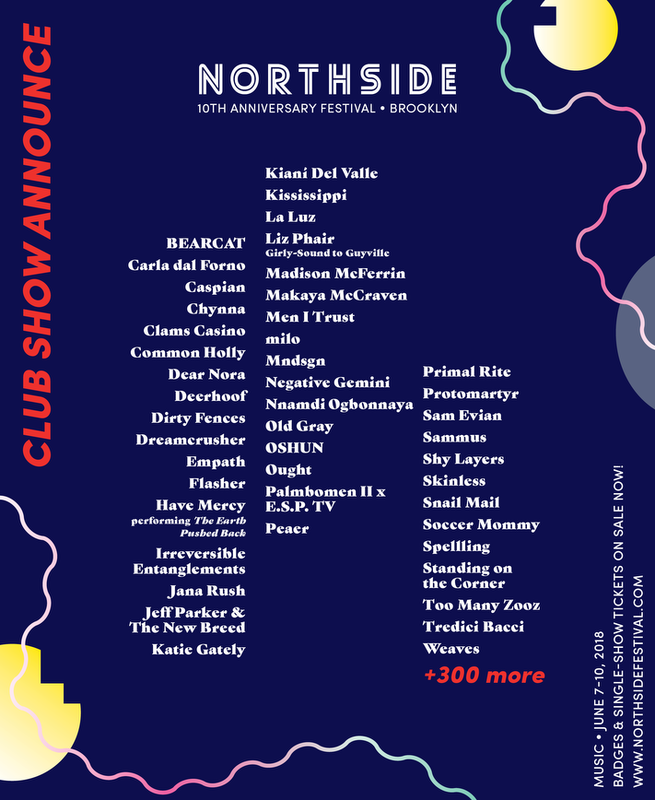 Northside Music will be from June 7th to June 10th, with the club show from Thursday to Saturday and outdoor shows from Thursday to Sunday. The Block Party Art Collective will from June 9th to June 10th. Tickets can be bought through the festival’s website.